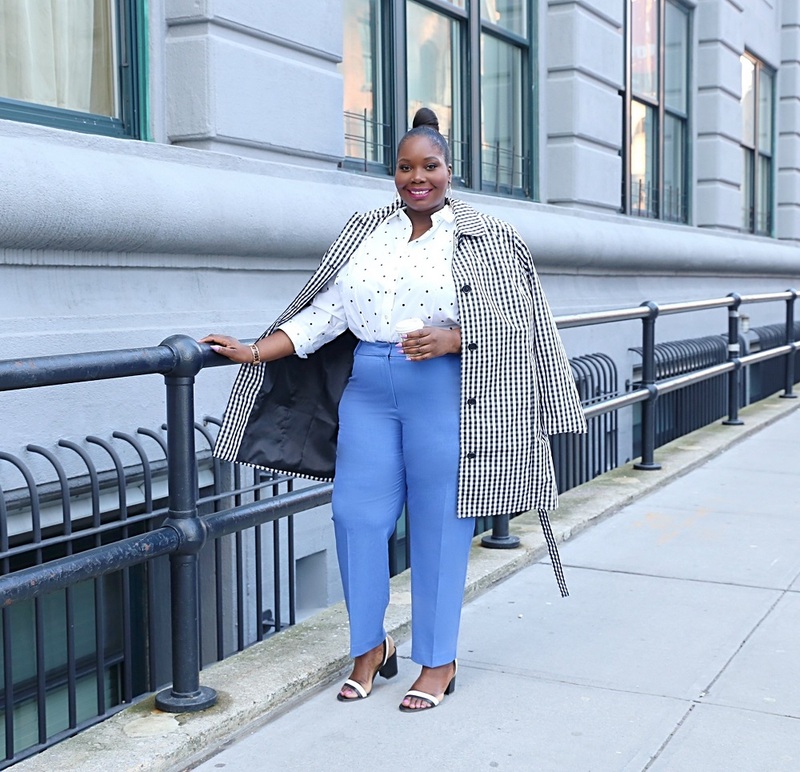 When it comes to plus size designer clothing, my motto is to invest in atleast 1-2 pieces a year. I know designer clothing can be expensive but the quality is always amazing. 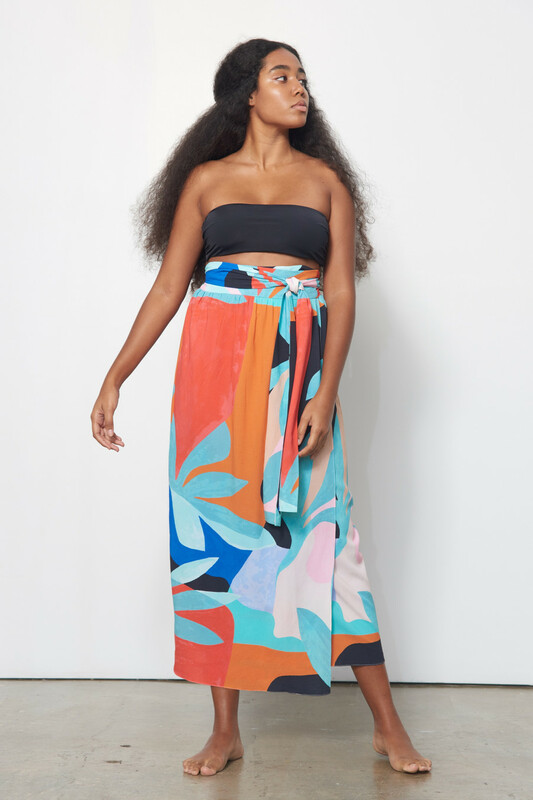 Since Mara Hoffman announced she would be extending her sizes last year, she has produced a variety of sustainable fashion pieces for women up to a size 2X. This spring season Mara has released a few new styles. Here’s what caught my eye. This Tulay skirt and Libby Top just seems so perfect for spring. What I love about this set is that you can break it up and create a myriad of looks with it. This off the shoulder jumpsuit just screams spring weekend. 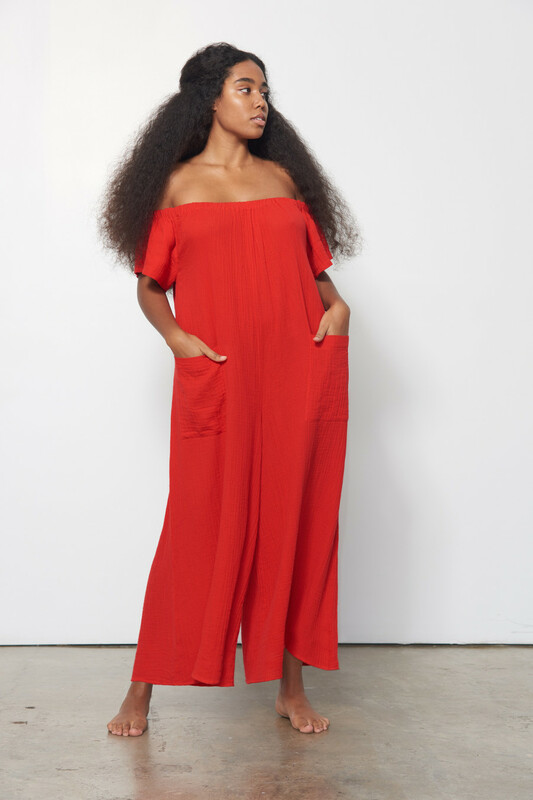 A pair of grecian flats and a crossbody bag would look great with this jumpsuit. Shirtdresses are a spring, summer, fall, and winter wardrobe staple. This sky blue button down dresses is a great option for work or a spring lunch date. A maxi skirt is also a spring wardrobe essential.I love the print on this wrap skirt. Which also doubles as a cover up. 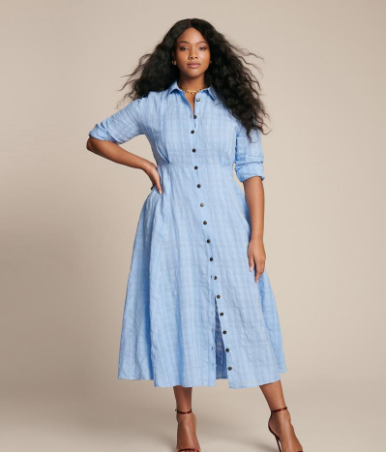 In addition to shirtdresses being a spring wardrobe staple. 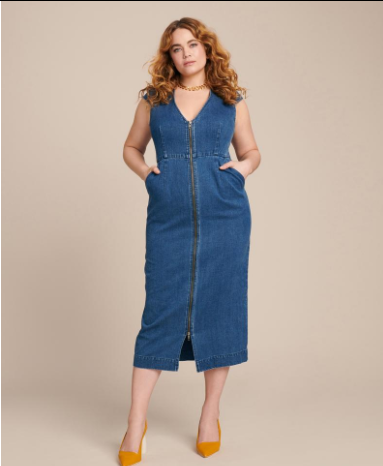 So is a denim dress. This exposed zipper maxi denim dress is exactly what your spring wardrobe needs. I read this article and found it very interesting, thought it might be something for you. The article is called New Spring Looks From Mara Hoffman’s Extended Sizes Collection and is located at https://stylishcurves.com/mara-hoffman-spring-plus-size-fashion/.